It’s still tough to pull a fast one on Gage Hecht even though his junior gears are now history. 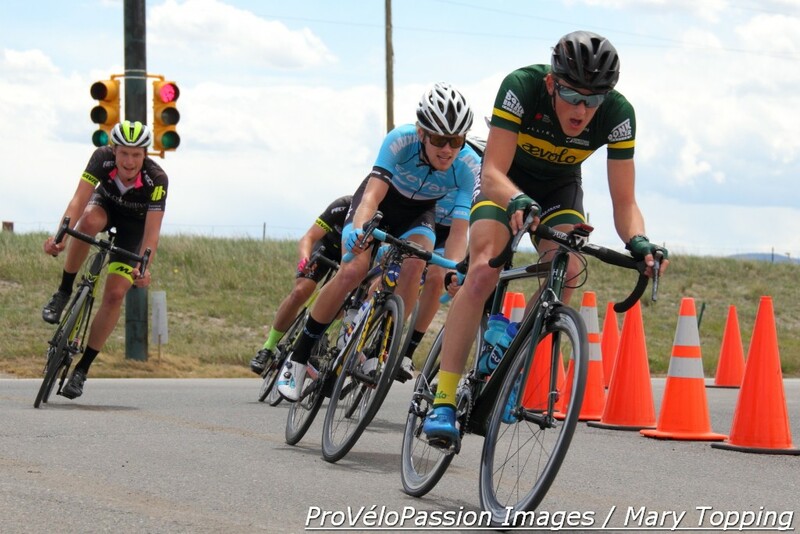 A first-year U23 rider on the new Aevolo Cycling development team, Hecht proved best of the elite men at the three day Superior Morgul race last weekend. It was the second time he’d earned the omnium victory at the event. He also won it three years ago at age 16. “I wasn’t expecting to win it the first time, and I knew it was definitely going to be hard again this time, so it’s really cool to win it again,” Hecht said before the podium presentation on Sunday at the top of “the wall.” A mile-long climb with gradients up to an estimated 12 percent, “the wall” featured in the Coors Classic event. 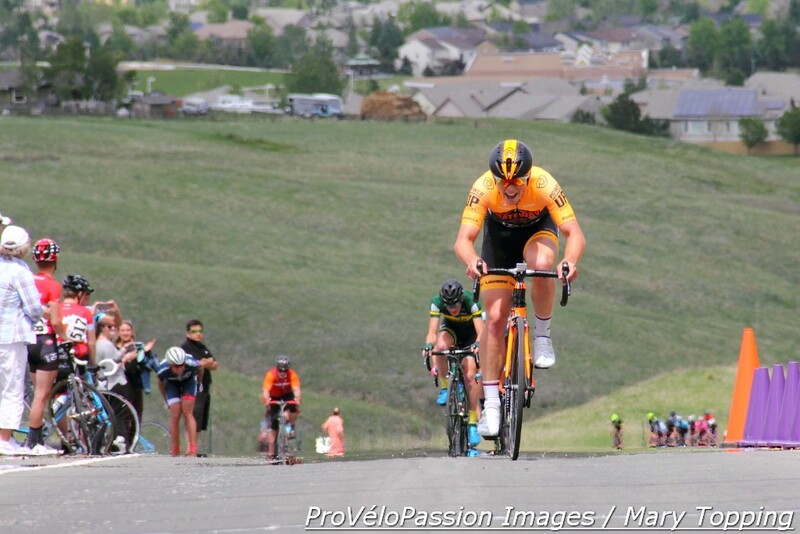 Hecht scored 107 omnium points with a win in the criterium on day one, a runner-up place in an individual time trial and second in Sunday’s Morgul Bismark road race. 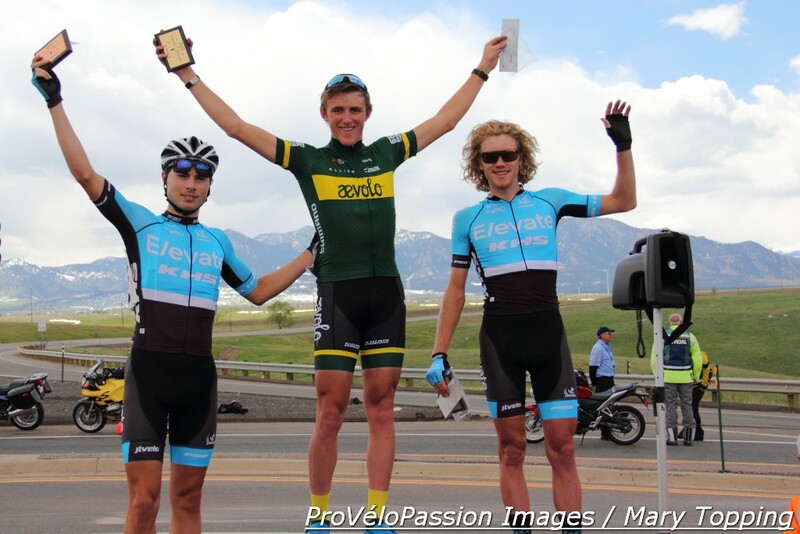 Alex Hoehn (Elevate-KHS Pro Cycling) finished second in the omnium with 101 points; Connor Brown (Elevate-KHS Pro Cycling) earned 87 points for third. Sunday’s race highlighted the Aevolo Cycling rider’s fitness as well as pro qualities such as heads-up racing focus and cool composure. With less than one 12.5 mile circuit to go, a group of five jumped off the front of the field that remained after 65 miles of rolling terrain and six ascents up “the wall.” Back in the pack, Hecht suspected the group would yield the day’s winner. 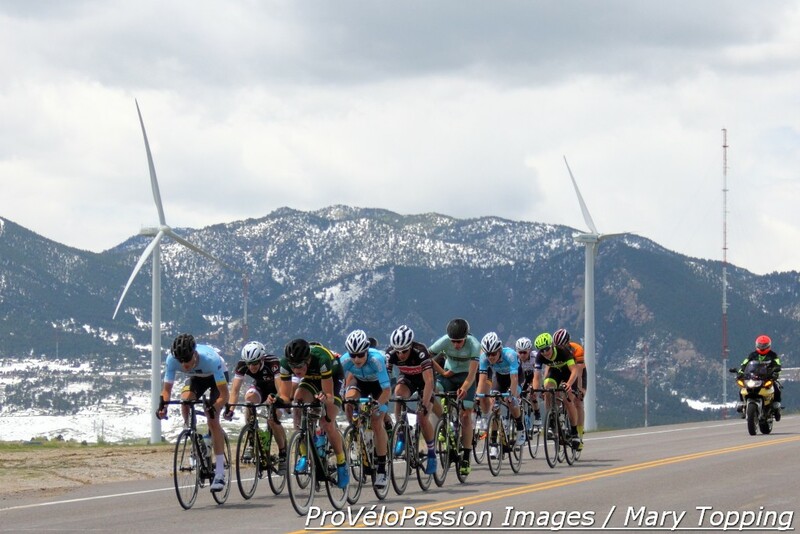 Holowesko Citadel’s Joe Lewis and Andz Flaksis, George Simpson (Gateway Harley-Davidson / Trek U25 Cycling) and Elevate-KHS Pro Cycling’s Hoehn and Brown made up the break. Hecht’s tempo separated him from the pack. He made a big push over “the wall” in pursuit of the breakaway. “I just rolled with it and made it up to the group,” he added. The casual nature of that last remark cloaked the difficulty of the task he’d just completed. As riders diminished to Lego-size in the direction of the foothills, the group’s lead quickly grew. Hecht’s salvo appeared futile as he pedaled in no-man’s land and very likely into the wind. He pushed on alone. The day’s strongest men surely aimed to leave him behind. But when Hecht’s healthy and fit, his effort rarely equates to futile. And so he bridged up to the five men. Then Simpson launched an attack. As the chasers rounded the corner to descend “the wall,” Hecht had taken responsibility for hunting down the lone leader. That’s when Hecht faced another yet different type of difficulty. “I was kind of stuck in the crossfire between the Elevate-KHS guys and the Holowesko Citadel guys, trying to pick and choose which attacks to follow because they were counter-attacking each other left and right. I ended up at the bottom of the hill following an attack and countering that one, and it got me off the front.” Hoehn pulled ahead of him, but Hecht said he found another burst of energy to leapfrog him for second place, just under five seconds behind Simpson. Lewis finished third ahead of Hoehn at the line. 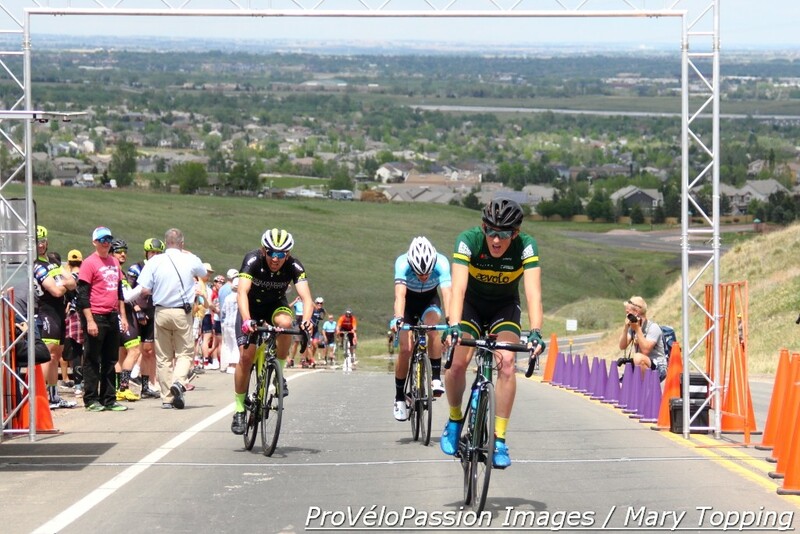 Simpson won the day, but Hecht pulled off an incredible ride for second and the omnium win. And given his engine and race smarts, he’s only going to get better. Hecht’s next chance to sniff out an opportunity comes in just a few days during the Winston-Salem Classic. 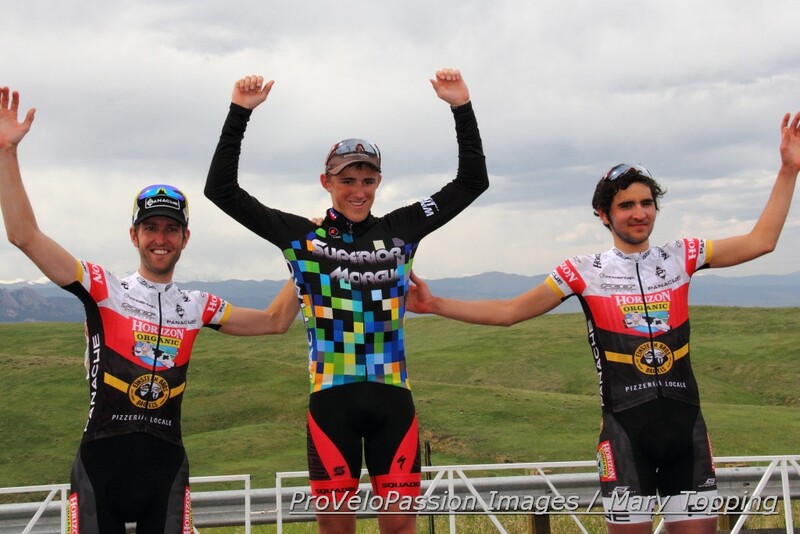 For full results from Superior Morgul, see RaceRite.com.